This course is suitable for anyone, with any interest. Everything around you is shaped by the world of business, whether it is your favourite football team, fashion brand or computer game. This course is especially suited those who are interested in how ideas become a business, how to promote and market a business and how to run and manage a business. 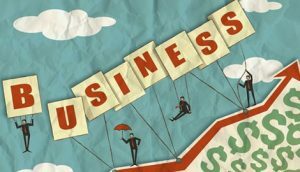 AQA GCSE Business is assessed by two exams at the end of Year 11. Both exams are 1 hour 45 minutes long and both are worth 50% of the GCSE. GCSE Business Studies will allow you to move on to a range of A levels or vocational courses, including Business and Economics offered in the Sixth Form. The skills acquired will support students into further education and beyond into the world of work. Studying Business Studies provides a fantastic base which can be used to excel in the workplace.